Irish brothers from a different mother! 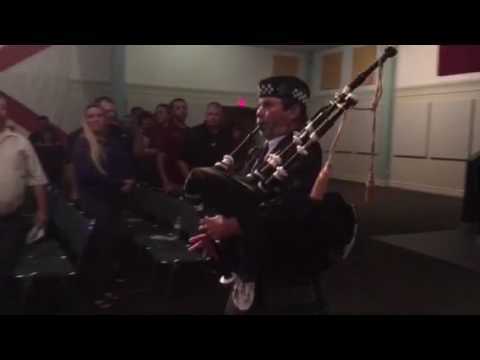 I am Michael Patrick Ryan, The Florida Bagpiper, and I'd love to make your gathering special! I have been a professional Bagpiper for 30 years. I am your Wedding Bagpiper, Party Bagpiper, Funeral Bagpiper, Golf Outing Bagpiper and Event Bagpiper. I will provide a stirring beginning, a grand entrance and a spectacular finale. I used him for my wedding and from the beginning communication was fantastic. We talked about song selections and when to play. He was professional and a credit to his art. He had an easy way of fitting in and gave the perfect 'wow' factor. BRAVO! Michael was punctual, gauged our party atmosphere and owned the room. It was the event of the evening that we keep talking about. Highly recommend for any occasion whether it's a bachelor party like mine, or a Wedding which I also plan on booking. Extremely satisfied. We're a fire truck manufacturer and we always begin our annual sales meeting with a piper, posting of colors and national anthem. Michael did a great job for us and was a pleasure to work with. 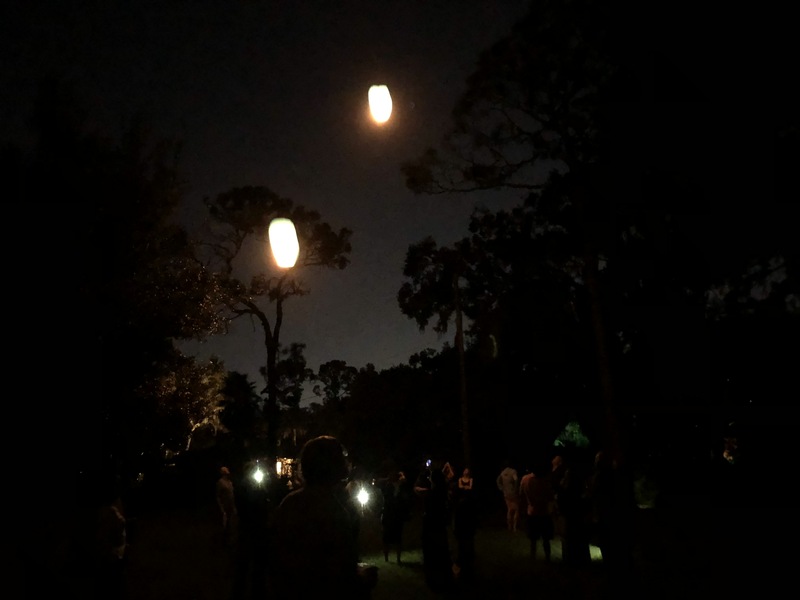 Over the weekend, we celebrated the lives of my brother and sister who passed away earlier this year. 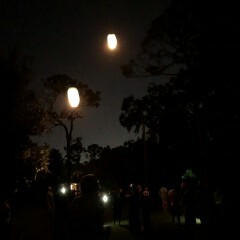 We hired Mike to play the bagpipes as we released lighted lanterns. Mike’s experience and helpful suggestions made the evening a success and a treasured memory fir everyone present. He was on time and played beautifully after they pronounced them man and wife. After the ceremony the bridal party went straight upstairs to a balcony overlooking the venue to catch our breath and listen to the bagpipes but he had already finished. We were a bit concerned but thought he might be taking a short break and would start again. He didn’t. When Mike answered my first review stating he played 8 songs we asked friends and family on FB if they remember how many songs he played. It ranged from 2 to possibly 3. From videos we determined he played about 10 minutes. Mike can say whatever he pleases, we have proof. My father was a bagpiper who passed away 2 years ago. My daughter grew up with him playing at family functions. We felt having the bagpipes would bring back some happy memories of her grandfather. She was happy to hear Scotland The Brave but disappointed not to hear several of her favorite songs and very disappointed that he left before she could take a picture. Neither her father or the photographers helper could locate him 15 min after the ceremony ended. I booked Michael to surprise my girls for our Outlander viewing party, we had to wait a week later because of Hurricane Irma. With that said, Michael was also accommodating with his schedule to change dates. He is very professional, kind and a great bagpiper. Had such a great variety of song choices, people were driving by taking video. Great time and a perfect start to our event. Definitely suggest everyone use Michael for your bagpiper needs! Mike does great work and presents very well. He has been very kind to our families during funeral services. We are very grateful for such heartfelt Talent. Mike Ryan joined the Anthony Kawalkowski Orchestra in a beautiful rendition of “Amazing Grace”. The audience was touched by the performance. Professional and fun to work with! 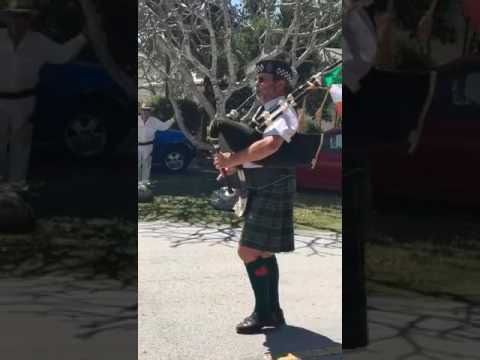 I didn't know what to expect when booking a bagpiper for a surprise birthday party, but the Florida Piper assured me he was up for the task and had a ton of experience. He definitely exceeded my expectations and helped to create a very memorable experience. We hired Mike Ryan for our wedding this past weekend. He was wonderful. He led our guests in a parade from our ceremony to our reception venue. He was charming and warm, and the music itself was top notch. Our wedding party appreciated his enthusiasm and our guests raved about the piping. I highly recommend The Florida Piper for your piping needs! The Florida Piper was a great addition to our festival! Michael Ryan was great! We worked with him for our Passport Europe Cultural Festival at The Morton Arboretum September 6 & 7, 2014. He was a crowd favorite and offered audience participation, which was wonderful. We would certainly work with him again for future events. Thanks again! Michael created a memorable experience. I arranged for him to surprise my I laws with a half hour serenade for their anniversary. Michael was on time, played my song list, played an encore and even gave a bag pipe lesson. He was great to deal with! Great piper! Very friendly! Great for any event! 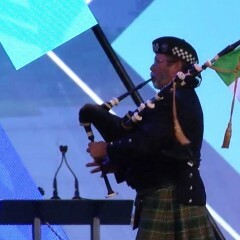 The Florida Piper performed at a work event. He was excellent and it made the event! We had some last minute changes and he was very accommodating. Thank you! We loved Michael for our event! I called last minute looking for something to spruce up a roll out at my corporate event and Michael answered. He was extremely responsive, kind, professional and personal and even extended his play time for 90 mins at the last minute. Everyone at my 4000+ person company was very engaged and I am sure he might be one of the top hits on their instagram and facebook pages. We would love to have him back for another fun event. PS- my boss asked to play the bag pipes and Michael let him and proved what talent it takes to make a tune sound good. I hired Mike after my Dad passed away in December. We did not know my Dad wanted a bagpiper at his funeral until reading through some final papers, so Mike had little notice when I called looking for his services. He was very accommodating and caring during such an emotional time. Although I remember listening to bagpipe music at home, I had no idea what to tell Mike to play. He put a very touching melody together of songs that moved everyone at the funeral. The walk from the church to the burial would have been unbearable without his bagpiping. It was a beautiful send off and I know my Dad's Irish eyes were smiling down from Heaven. Mike was very personable and I would hire him again. Perfection down to the last detail! Michael played for my father's funeral. He made the day extraordinary. He even helped me out with details about military honors for my dad that I would not have known about otherwise. It was a cold and snowy day, but that did not stop him one bit. Above and beyond. I had people come up and tell me that I had to make sure he played at their funerals :-) Michael is a professional through and through. You will not be disappointed. My father passed away recently. He was Irish, and always loved to listen to bagpipes, so I knew that I needed to find a piper for his funeral. Mike was wonderful. We spoke several times before the service, and even though the weather was looking bad, he assured me that he would be there. I was sitting in the front row of the funeral home and as the priest finished and gave Mike the sign to start, I started smiling as I heard the notes of Amazing Grace fill the room, knowing that it's exactly what dad would have wanted. Mike, I appreciate so much the care you took in making sure that your performance would mesh with the other aspects of the ceremony. It was truly a special moment for us. Piper Mike Ryan was hired as a bagpiper for my Father's funeral and he played while following his casket into Church before Mass. He played again after Mass, leading the procession into the (on site) cemetery where the Honor Guard waited at the burial site. Words cannot express how much this added to this solemn occasion and provided comfort to the entire family knowing this is exactly what my Father had wanted. Being December, it was cold and damp but Mike and his bagpipes rose to the occasion and did not disappoint. Thank you Mike from the bottom of my heart for your performance and personal touch. 40th surprise B-Day part and Michael blew the root off our party. Very professional and excellent Piper. great experience! Ended the day with Mr. Ryan's performance. Incredible way to end the day. Nothing but smiles and tears. Could not think of a better way to end the memorial. Scottish family members were so impressed and happy with his performance. They could not stop talking about it. Mr. Ryan was very professional, knew exactly what to play, was very flexible with our plans. Would ask to play for us again without reservation. 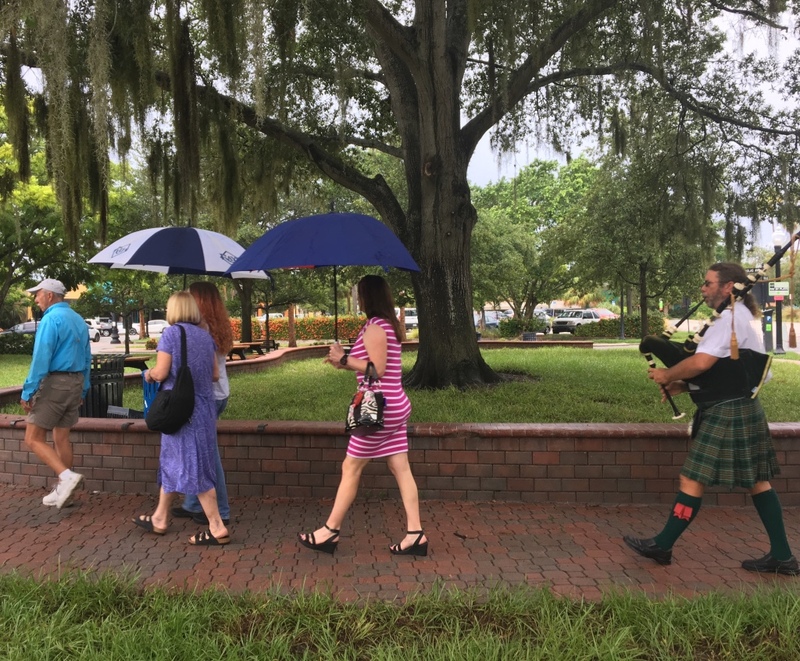 I went online to find a piper for my father's Memorial Service, to honor his Scottish heritage. I listened to several pipers, and then heard Mike do a medley in honor of a friend. He played the pipes so beautifully, from the first note, that I stopped looking and contacted him. Mike did play at my father's Memorial Service. Amazing Grace ended the service - and as much as I was ready for it, hearing Mike play brought a rush of emotion. It was a beautiful rendition. After the pastor's closing blessing, Mike played a medley as people left the sanctuary. It was a beautiful tribute. Add to his expertise with bagpipes, he is a very nice person to deal with..and very professional. Whatever your occasion, you will not be disappointed to hire Mike. I can't say enough about my family's experience with Mike. He showed the utmost professionalism and was a great help at a very difficult time in our lives. His performance was incredible, and went off without a hitch. He even showed up an hour early to go through a rehearsal with us as myself and some of our family members were playing civil war rope drums in our Dad's memorial service as well. Mike's services did not stop there though. It was a snowy day and the path to the memorial garden where the conclusion of the service was to take place was covered in snow. Out of nowhere, I looked out there and Mike was shoveling a path for us and the attendees to stand so we did not have to walk through the snow. Again, above and beyond what he needed to do. My advice to anyone looking for a piper would be to make Mike your first call! Friendly, responsive and beautiful music! We hired Michael Ryan to play the bagpipes for a closing song at church and for the transition from the mass to the party. Michael was great! Michael was friendly, responsible, responsive, timely and the music was beautiful. Our mass was for a fundraiser for a Catholic school and parish and was attended by school families and parishioners. Everyone thought Michael was great. Hired piper Mike Ryan for my daughter's wedding ceremony...he was awesome..on time, ready to play and loved by all! Bagpipes soared to the ceiling of the church and gave me goosebumps..
We would hire you again! We hired Michael for an event at Beloit College. The college was more than pleased with your performance and professionalism. We would hire you again. We were very pleased with Michael Ryan as he provided the music for my Mother-In-Laws 90th birthday party. As a native Scot, she is a great critic of bagpipers and she wouldn't stop talking about Michaels performance. He instantly became part of the party and it felt like he was one of the family. We would recommend him without any reservations. Michael was our bagpiper for our outdoor wedding in October and we cannot say enough about how amazing he was. We reviewed a number of pipers and Michael was the most professional and helpful. He helped us choose some of our music and even went along with some of our stranger requests. The day of the wedding he arrived early looking fantastic. Everyone raved about how amazing he sounded saying they, "got chills" and that whatever we paid him "we should triple it." He was a highlight of our ceremony and made it beautiful and truly memorable. I contacted Michael Ryan after seeing his web page... He was friendly, helpful ( luckily, I guess, I don't have much experience hiring bagpipers for funeral services) and prompt. He helped me figure out the timing of the songs, the choice of songs, etc. The day of the service,(Waukegan, Ill.) he arrived early, and went through the whole thing with me beforehand. I am very happy I contacted Michael. The family will always remember hearing 'Amazing Grace' played on the beautiful bagpipes as my aunt was taken westward to her final rest. Thank you Mike. Very professional and a joy to work with! I am a wedding coordinator at a Chicagoland venue, Michael has played at numerous weddings I help coordinate. Not only is he always there on time and delivers just what the bride and groom asked for, he is also a pleasure to work with. Mike, thank you so much for the amazing job you did for us. I cannot imagine a more fitting send off for Dad. There is something so moving about the sound of bagpipes in an old church. Dad would have loved it, especially "Danny Boy". Michael was very professional and accommodating and performed our requested songs magnificently. Everyone at the funeral commented on how brilliantly he performed on the bagpipe. I highly recommend Michael for your personal event. Great job by Piper Mike! I hired Piper Mike to play at a celebration of life lunch that we did for my Dad. Piper Mike was extremely flexible with the schedule of events for the day and did an outstanding job with the music selections. Very nicely done and he added the perfect finish for the lunch that my Dad would have loved. Mike played as a surprise for my husband during our wedding reception. He was awesome! Everyone thoughly enjoyed him. I would highly recommend Mike to anyone that is interested in hiring a bagpiper. 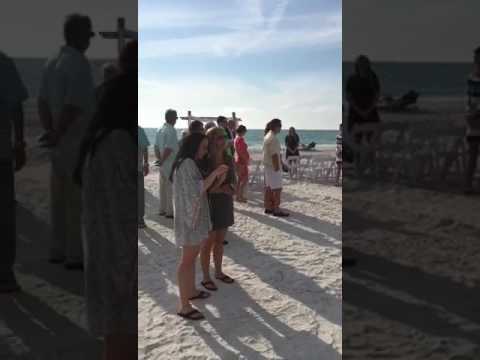 I hired The Florida Piper, Mike Ryan, for my parent’s 50-th anniversary party. He came in playing the bag pipes. He talked to everyone at the party and answered questions about the bag pipes. He even took the time to unzip the bag and show people how everything worked. He took requests and did an incredible job. My son plays the violin and Mike sent us a music selection in advance that my 9 year old could prepare and play as a duet with the bag pipe player as a special gift to my parents. He was a great addition to the party. My Mom said that the bag pipe player is what put her party over the top. Mike led our quiet caregiver lap around the track playing Amazing Grace he was superb! What an added to delight! We had my son's Boy Scout Eagle Court of Honor, and wanted to have something a little extra special...decided a bagpiper would be perfect! Mike fit the event perfect...he led the honor guard in and out and accented the evening! Professional, personable, heartwarming and A+++ piper!!!! 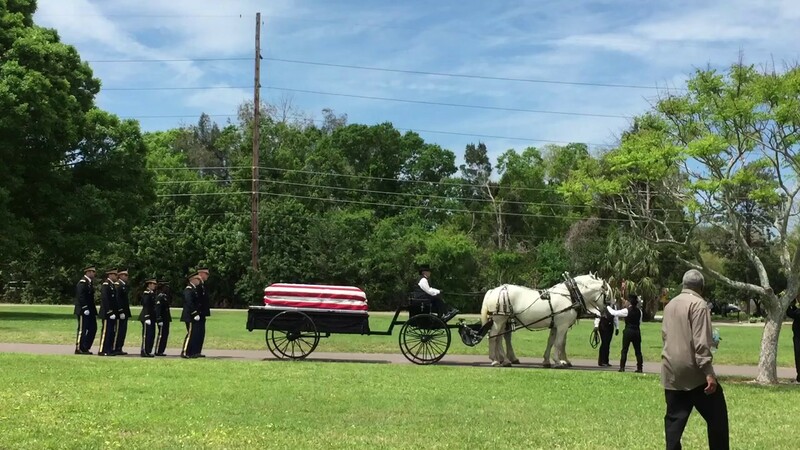 My father-in-law had a few requests for his Memorial service, and a bagpiper was one of them. Not knowing where to begin I did a Google search. I contacted Mike early in the week before the memorial service and he responded right away. He was so personable and just wonderful to talk to. Before even talking about cost or services he wanted to know about my father-in-law. I didn't feel like just another client to him. He really expressed an interest in learning about who he was performing for, which really touched me. He offered several suggestions on songs to open and close, songs to play during the service, etc. I had mentioned a song he was not familiar with, but was willing to look it up. He put any stress I was feeling at ease. Upon arrival at the service (it was not a traditional service, more a celebration of life in our backyard) he was dressed very professional and was interested in learning more about the pictures he saw my father-in-law. The service went off without a hitch and I have to thank Mike for helping that happen! I would HIGHLY recommend Mike for any of your events. I have saved his contact information for future events or to share with friends and family. 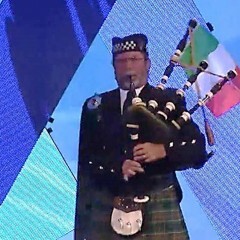 The pipes made the Brits very happy!!!! My husband is from London, UK and has always loved the bagpipes, so for his 50th Birthday party I searched the Western Suburbs for a pipier. I honestly didn't know where to start but found Michael's website and decided to call him. He was so nice and friendly on the phone with lots of suggestions as to what would be a great "Opener" and "Closer". Michael was true to his word and contacted me closer to the date, was on completely respectful of the element of "surprise"! He was a HUGE hit!! everybody loved the "pomp" of the entrance and Michael was a great addition to our party afterwards!! I highly reccommend his services and he truly cares that you have a great time and enjoy yourself! Michael Ryan visited our school during a week we were studying Scotland. He was excellent and engaging. He played the bag pipes and discussed the history and culture for over 45 minutes with the 100 children. They loved the session! Mike was accomodating, prompt and very professional. He performed a funeral for us and did an absolutely wonderful job. Northland College is a private, four-year liberal arts college with a very strong academic program and an emphasis on environmental studies and sustainable community programs. Michael Ryan led the Commencement procession for the Class of 2012. 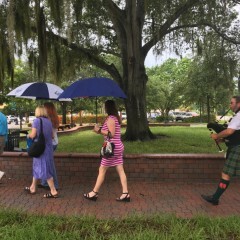 Our commencement was a great celebration, and "The Florida Piper" added the necessary festive touch to our procession that was perfect for the occasion. Michael is a superb piper, and he is so accommodating and professional to work with. We couldn't be more pleased. Piper Mike was just what we were looking for. He was available on short notice, he responded quickly to all communications while deciding on repertoire--and we had extensive communications regarding this!--he was able to adapt at the last minute to switch from an outdoor gazebo ceremony to a tiny chapel ceremony, and he also procured an excellent traditional drummer to play with him upon our request. Very kind, adaptable and competent. Gave our day that extra special touch that we will always remember fondly. As the organizer for the Navy Reserve Officer Training Corps at Illinois Institute of Technology, I felt that Mr. Michel Ryan has done an excellent job integrating into our ceremony and playing his part in the beef parade. He quickly understood his role and was very easy to work with. His piping skills are superb and I highly recommend him for any event. Was a great addition to a surprise party not only did he play but he took time to talk and tell some jokes. Did well picking what to play and even told us some history of his bagpipes and inner works. 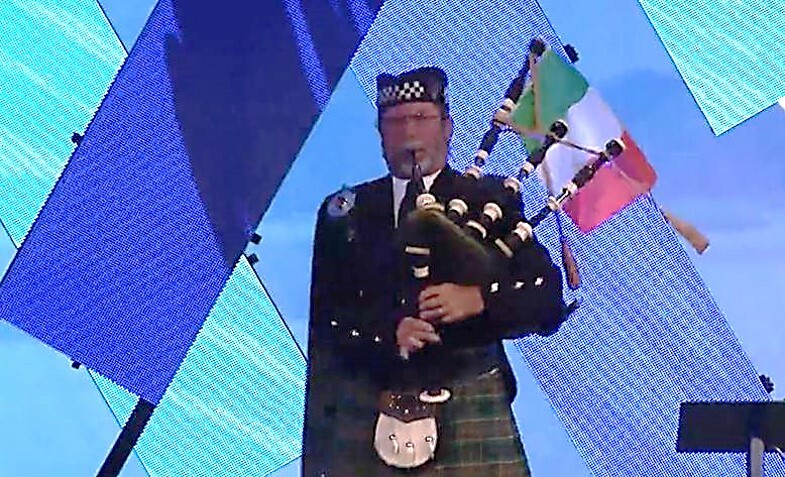 Very pleased with our Bagpiper choice!!!!!! We HIGHLY suggest the Florida Piper!! He was very friendly, easy to communicate with, prompt, and extrmely talented!! He helped make our St. Patrick's Day Wedidng even more special!! Book him soon!! He's popular!!!! The Florida Piper was very professional and on time. He played two sets for us at Sullivan's on St. Patricks Day. To say the least our staff and guests enjoyed every song he played. He actually had people taking photos and video taping him on smart phones. Can't wait for next St. Patrick's Day! Mike was fantastic to work with. We hired him for my client's March 17th Wedding, which was one of the busiest days for Mike and I am sure all bagpipers given that it was St. Patrick's Day! Throughout the planning process, Mike was wonderful to work with. He was always responsive and attentive and made sure he had all the event details he needed, far in advance. He even emailed me back from his honeymoon! Mike showed up an hour early to make sure he was on time, he was professional, extremely energetic and a fantastic player. I would highly recommend using Mike Ryan; he was outstanding! Awesome ! Fun ! Entertaining ! Total Crowd Pleaser ! This is the first time we have used Mike's services and we were very pleased. We called him at the last minute and he arranged his schedule to accommodate our needs which was appreciated. His music was great, he was versed in the processes of "performing" at a funeral service and he extended himself when asked to not only play at the church but also at the cemetery. We will definitely contact Mike again when we need a piper. Thanks Mike. job as our entertainment. Would certainly have him back again. His wife was friendly and everyone liked her too! The residents as well as well as families who attended enjoyed Michael very much. He was funny and personable. He gave some history and kept the audience engaged in between songs. We will definitely have him back and strongly recommend him for other events. Mike was awesome!! I hired Mike to come to Emmett's in Downers Grove on St. Patrick's Day to entertain my guest. He was a hit! Our crowd from kids to adults loved him. I must say the sounds of Bag Pipes, sends "Chills" through my body! Mr. Ryan was our entertainment for our St. Patrick's Day themed event and came dressed to please our senior residents. Along with his talented playing, he gave insight on the music he played, was interactive with the audience and even took some requests. The residents were impressed and thrilled to see Michael perform and I was so happy he was our entertainment for this event! Mike made our daughters wedding so very memorable. He really went the extra mile for us. Thank you so very much. I have been bagpiping professionally for 30 years. I began with the Black Swan Pipe Band. I have played all over the US, Canada, as well as Australia, New Zealand, Ireland, and Scotland. My approach is elegant, fresh and clean. I play from the heart. 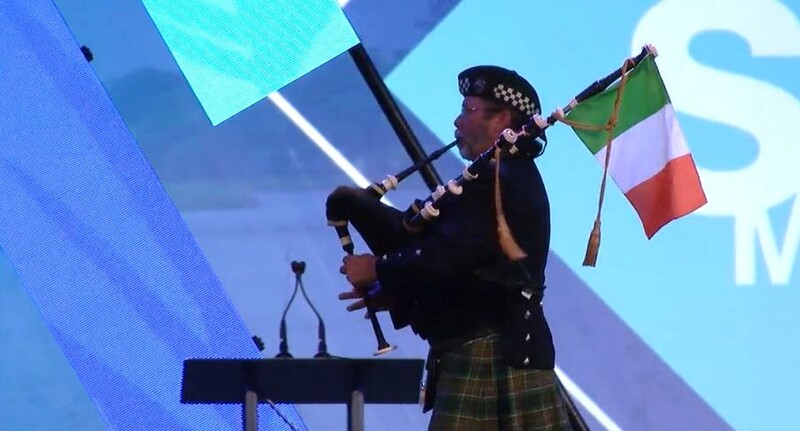 My whole being as a Bagpiper is credited to Pipe Major Doug Stewart of Elkhorn, WI. Doug graciously instructed me in art and craft of Piping many years ago while in the Black Swan Pipe Band of Elkhorn, WI.